Also known as Fatima's hand. Usage: charm/pendant for any jewelry. 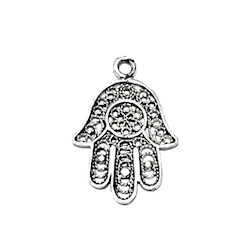 One of the finest and lightest hamsas on the market.